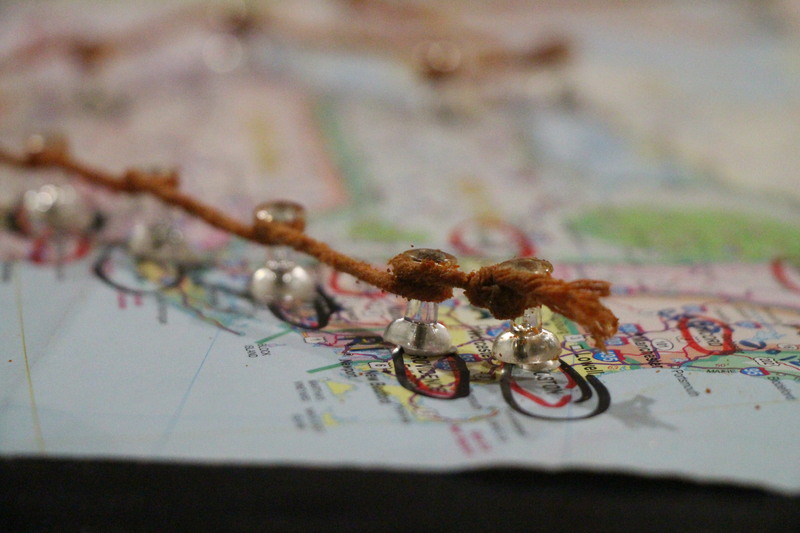 We already have 100 backers for our trip! Thank you very much for your support and please help us spread the news! 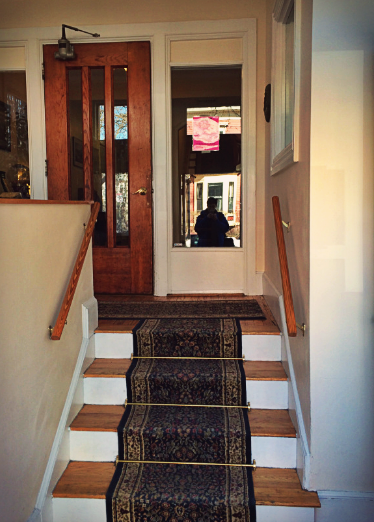 Proud to post our first review of a local bed and breakfast, Irving House, as a sample to give you all a better sense of how we’ll be doing what we’re doing! The following is an example of how we’ll be reviewing hotels. Please comment with any advice, suggestions, and other feedback! 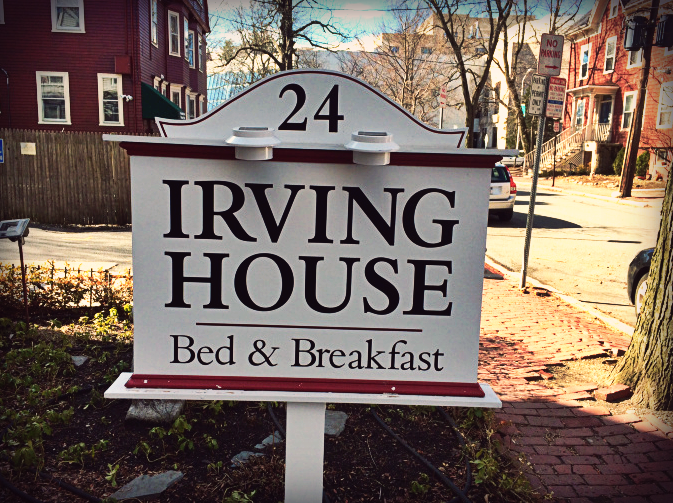 Irving House is a reasonably priced bed-and-breakfast a couple minutes’ walk from Harvard Yard, and because its lobby is a short staircase up from the ground level, an elevator by the side is necessary for entry and exit. A quick call to the receptionist will summon a staff member with the lift key. There are some chairs on the porch that may need to be moved too. Entering or exiting the inn might take as long as a minute or two, depending on how busy the staff is at that time. 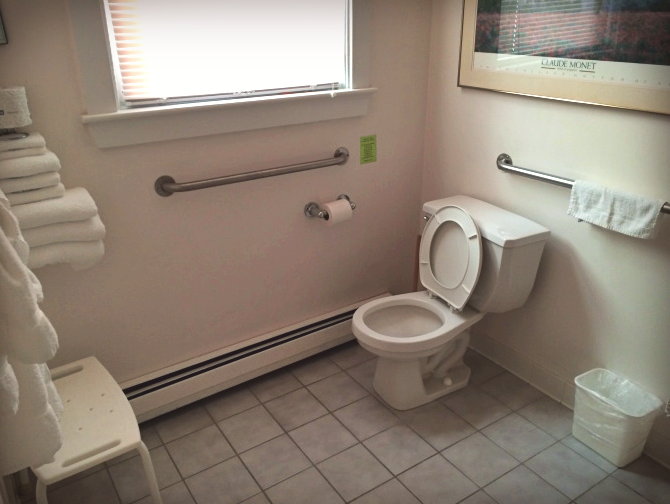 Rooms are spacious, with enough leeway to allow a person in a wheelchair access to all corners without difficulty. A small shelf of books by the nightstand–tall hardcovers with worn jackets–offers a nice touch. 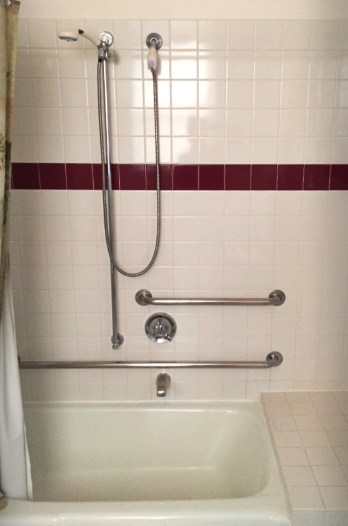 Ask for an accessible room, and the bathroom comes equipped with the important features: steel handlebars welded to the wallside by the toilet and shower. Moreover, it has a shower chair. It is very considerate of Irving house. Even the cot that they brought in for me (Brad) was soft and warm, and I slept well and woke in the morning from a lazy sunbeam across my face. Overall, Irving House is a good place to stay in Cambridge due to its great location–it’s a two-minute walk from Harvard–and its reasonable pricing for nice rooms. 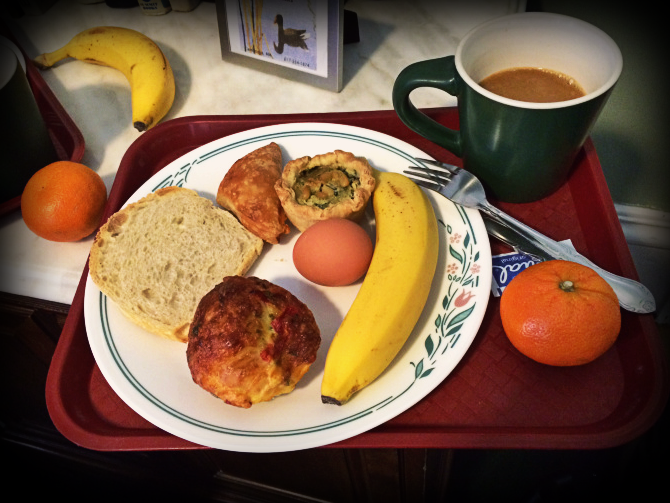 In terms of accessibility, it has everything you will need; just make sure to communicate with the staff at the main desk, so they are prepared to help you enter and exit and bring you breakfast. 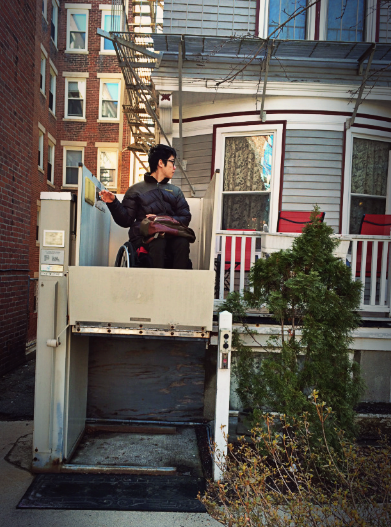 However, one of the downsides of Irving House is rough and bumpy sidewalks from Irving House to Harvard. We have our Facebook account and twitter account! Follow us! We’ll be constantly updating our stories! I am very excited to announce that we are listed as the top second most popular trip at Trevolta! In less than two days, we were able to fundraise $1700. Personally we would like to express gratitude to the ones who supported us around the globe. Please share the story with your family, friends and everyone you know! 🙂 We are extremely pumped!! Finally our video is out! We’ve been working on this video for three weeks. Days and nights working at Lamont Library usually until 3am in the morning. Frustrations when someone was using the computer that we’ve been working at. Anyways, the video is done!!! 🙂 please share this with your friends and family! 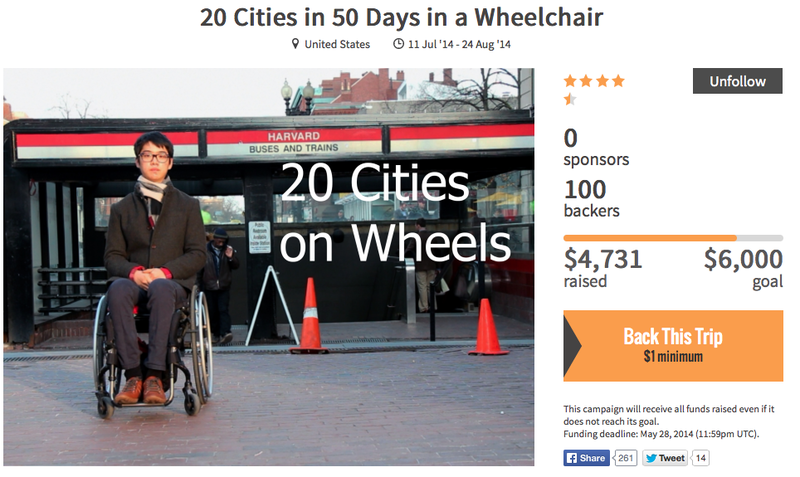 This summer, we will be taking a road trip from San Francisco to Boston in order to write a wheelchair-accessible travel guide to the United States. Music credits to the Open Hand Project for royalty free music. Thanks to our friends and family for their support in the making of this video.